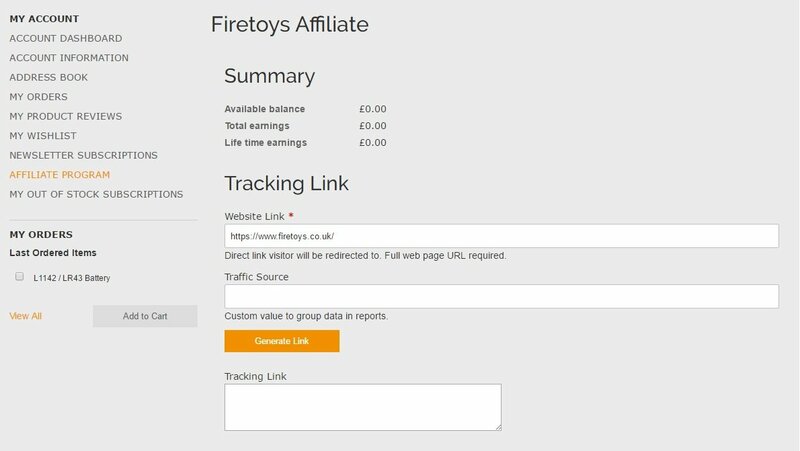 Firetoys Affiliate Scheme allows you to earn a commission on Firetoys sales generated from links on your website or blog. 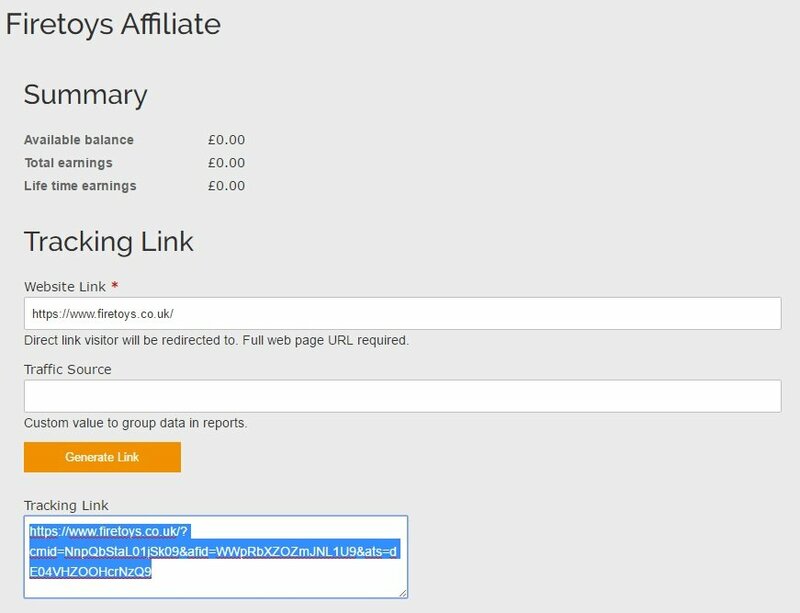 We offer a commission of 10% of the price of sales that are made after someone follows a link on your website. This commission does not include shipping charges. - Hopefully your link is generating lots of sales. As it does 10% of the price of those sales (excluding shipping charges) will be added to your earnings. 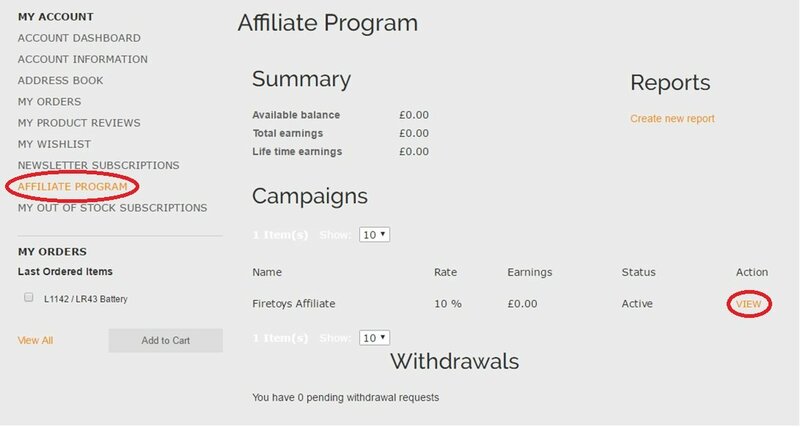 You can see all the details of all your earnings in the "Affiliate Program" section of the "My Account" menu. - To withdraw your earnings click on the "Request Withdrawal" button on the "Affiliate Program" page of your account. This button only appears when you have earnings of more than $30 which is our minimum withdrawal amount. - Commission is paid at a rate of 10% of the price of the order. - All withdrawals will be paid in US dollars. If transferring this payment into a foreign account or different currency the affiliate is responsible for all charges and currency exchange fees.